With his stripy body and his huge round eyes in my house now lives a lemur. 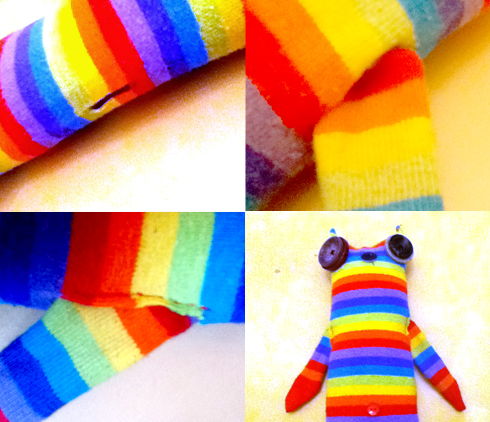 Used to be a sock, now he can even walk… everybody welcome Seymur. 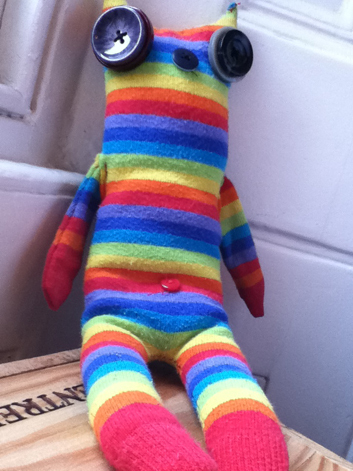 Seymour the Lemur is easy to make. It will take you about an hour if you have a sewing machine, maybe 31/2-4 if you don’t. _A sock, the longer the better. 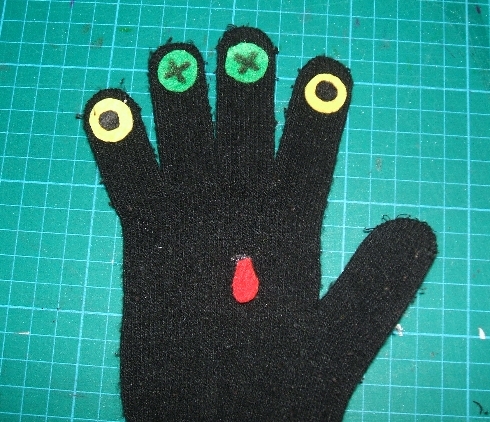 PARENTS: KEEP AN EYE OR HELP OUT YOUNG CHILDREN WITH THE SEWING. 1. 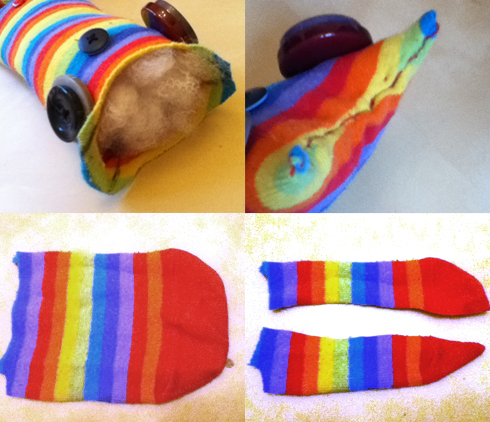 Cut the end of your sock, where your foot goes in. Don’t get rid of it; we’ll use it later. 2. 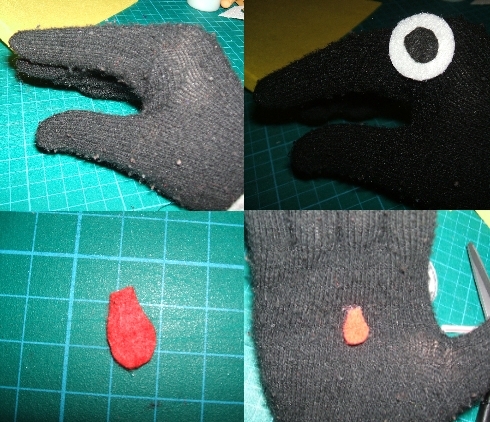 Turn what’s left of the sock inside out and draw the shape of Seymour. Ears at the top and legs at the bottom. We’ll take care of the arms and tail later. 3. Sew the legs over the line you just drew. 4. Cut the sock about 5mm from the stitches. 5. Cut the top about 5mm from the ears/head line. Don’t sew yet. 6. 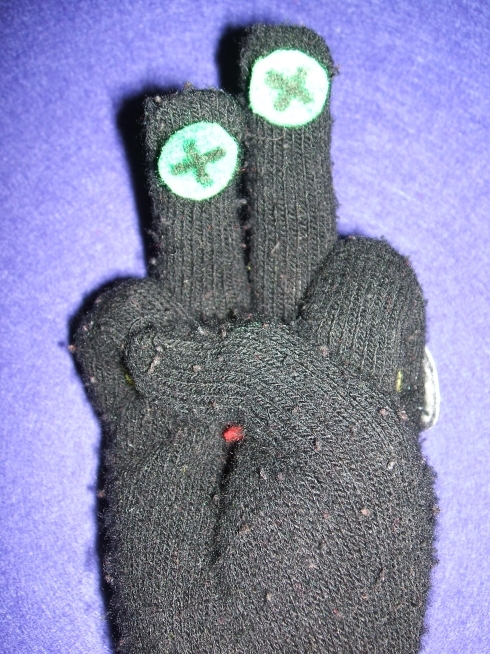 Turn the sock right side out. 7. 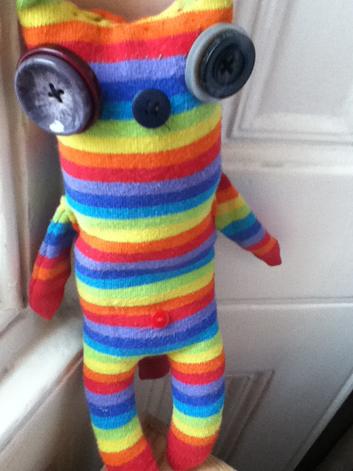 Grab the 4 big buttons and one of the small ones and sew them to make the eyes and nose. 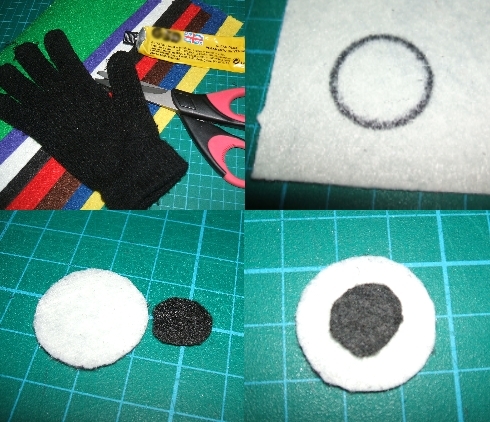 Remember lemurs have huge eyes so we’re sewing a big button on top of a bigger one for each eye. 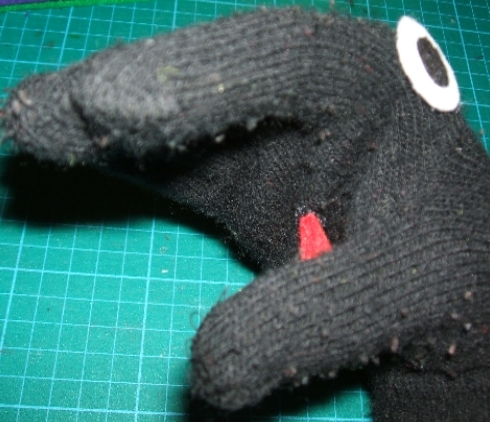 Sew the eyes as far from each other as you can to give Seymour a very lemur-like expression. 8. 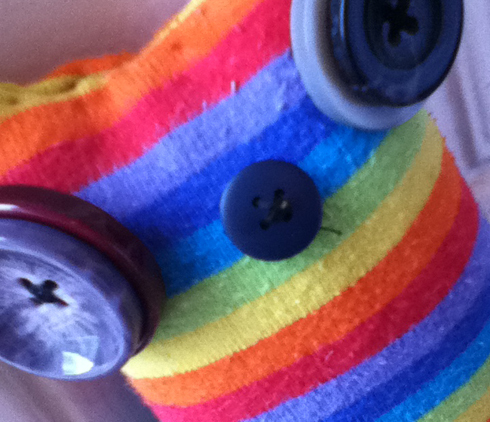 Sew the other small button further down, closer to the legs to make a belly button. It´s starting to look like Seymour, isn’t it?! 9. 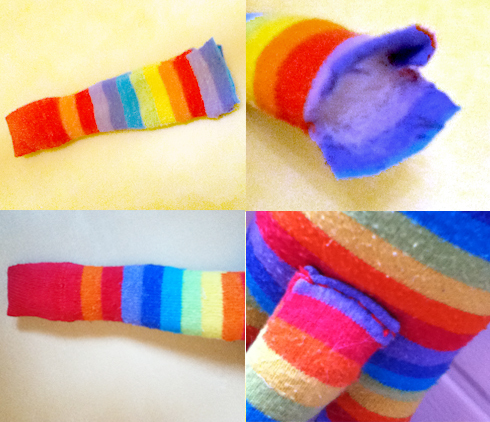 Fill the sock with the filling. 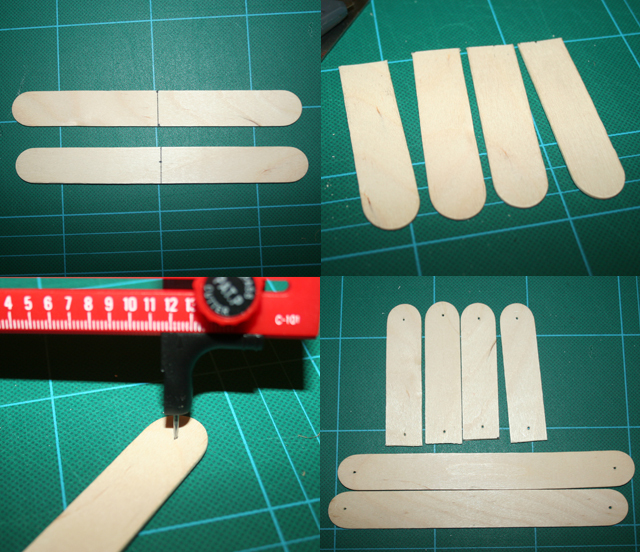 The legs can be a bit tricky cause they´re so thin, so put little bits at a time. 10. Sew the top of the head to close the whole thing up. 11. 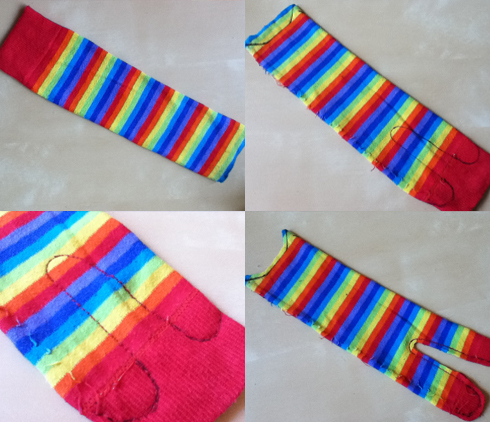 Get the tip of the sock and cut it, length wise, in 3. 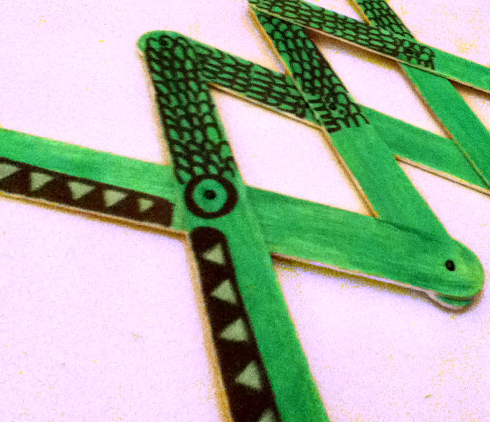 The middle part should be thicker to make the tail. The 2 ends will make the arms. 12. 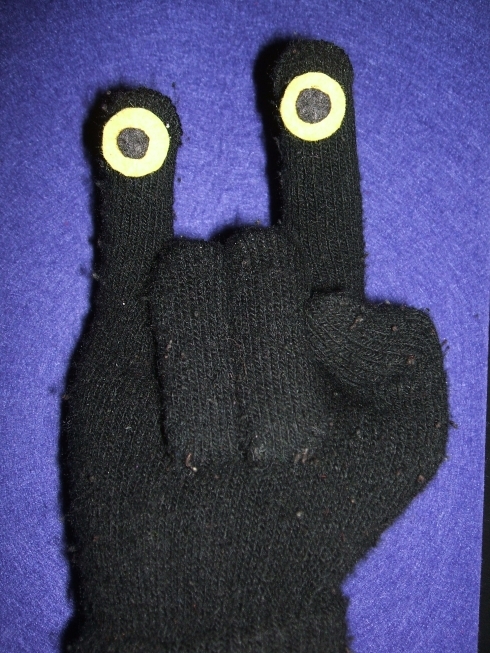 Turn the arms inside out and sew the edges. They are probably very thin so you might not need to feel them (I didn’t). Turn them right side out again. 13. Get the body and cut 2 slits round about the middle on each side. This is where the arms will go. 14. 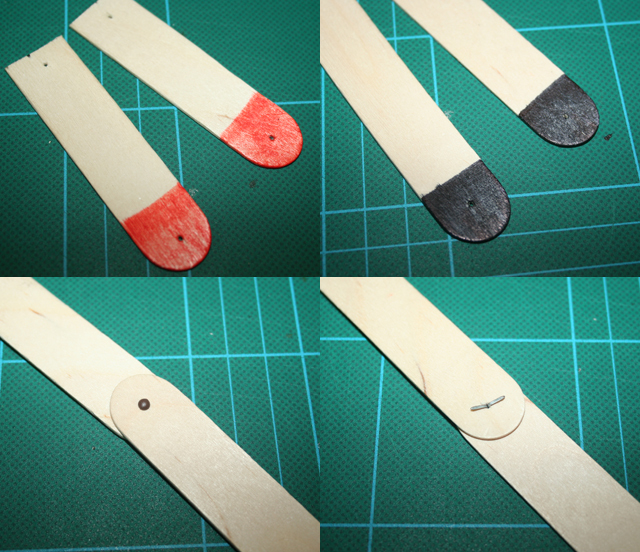 Insert both arms, about 5mm-1cm, and sew the slits close. 15. 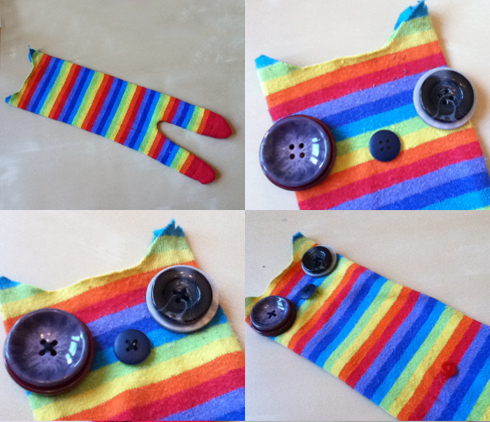 Get the remaining bit of the sock, turn it inside out and sew the sides. 16. Turn the tail right side out and fill it. The tail is thin too so remember to do it little by little so that you don´t end up having bumps and lumps of filling but a nice soft and even fluffy tail. 17. Sew the tail on the back of Seymour’s body, about the same height as the belly button. Look at him, so cute, with his big round eyes and stripy body. Have fun and take good care of Seymour the Lemur. Probably the quickest and easiest so far. Making and playing time is the same. 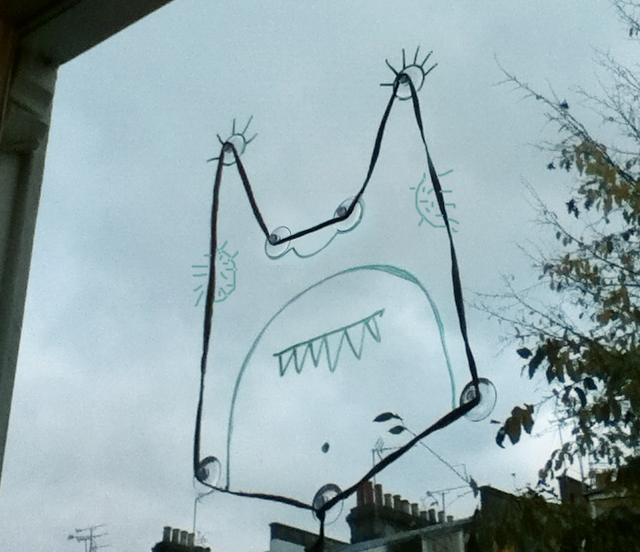 _Whiteboard markers (you can draw on the window and easily clean it with a tissue), dark colours work better. 1. Cut a piece of string at least 60 cm long. 2. 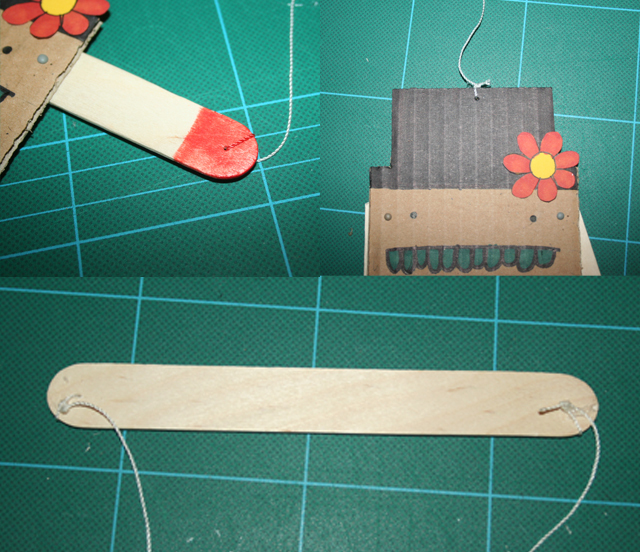 Tie both ends to make a closed loop. 3. 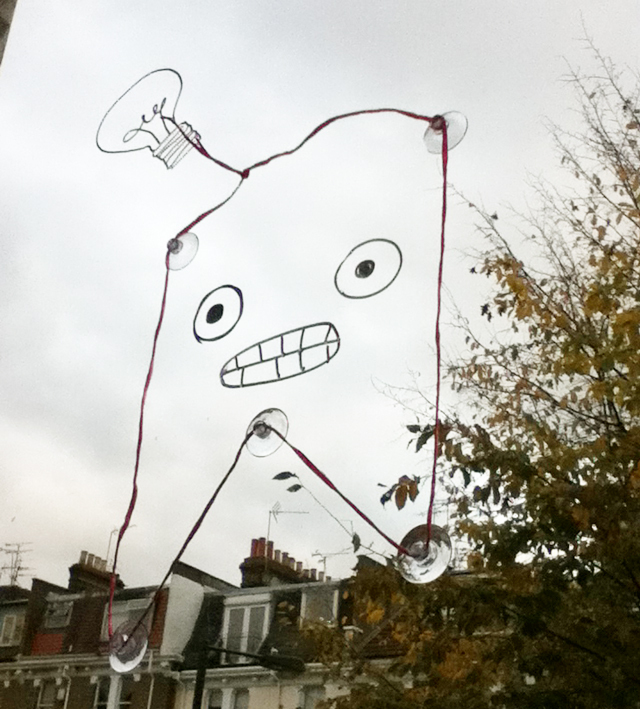 Arrange a few suction cups on the window. 4. Start placing the string over the cups. 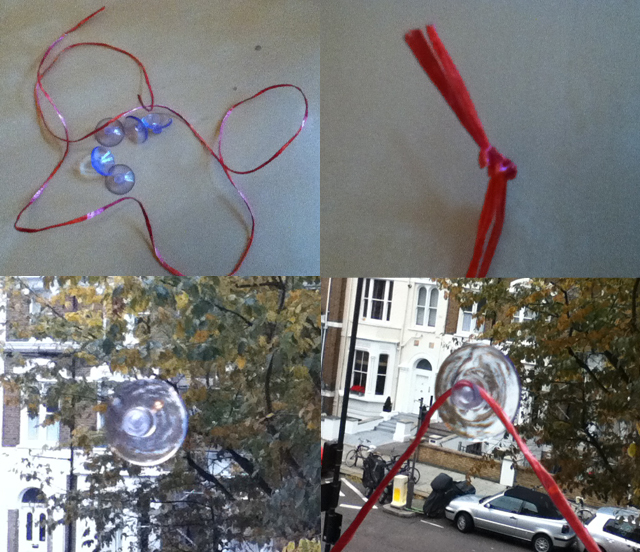 If it doesn’t stay in place make a small loop around each cup with the string. 5. 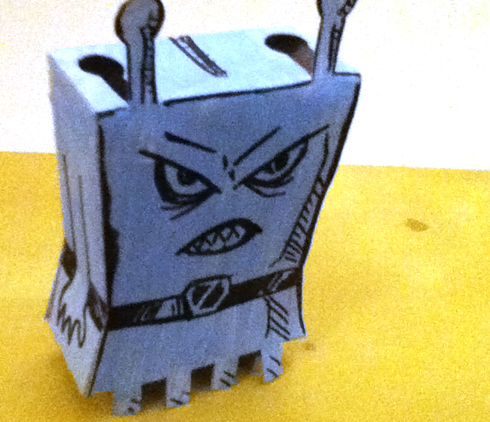 Keep adding cups to shape the sting and make a creature. 6. Make sure that the string is tensed by all the cups when you have the shape you want. 7. 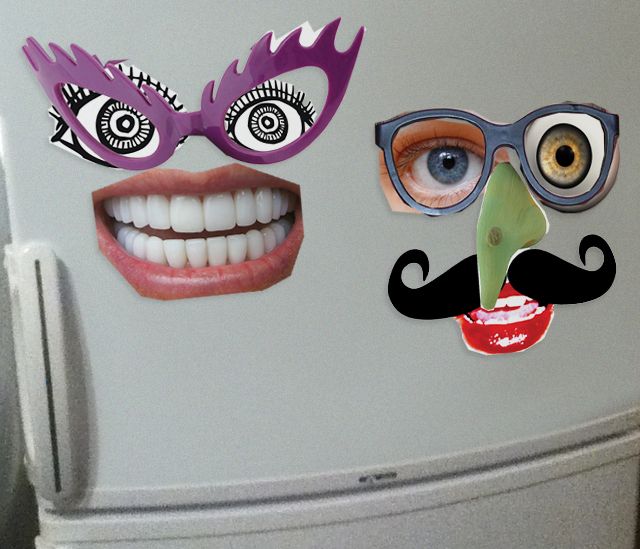 Get your whiteboard marker and draw all the details that will give your Stringlander personality such as eyes, mouth, hair.. maybe antennae? 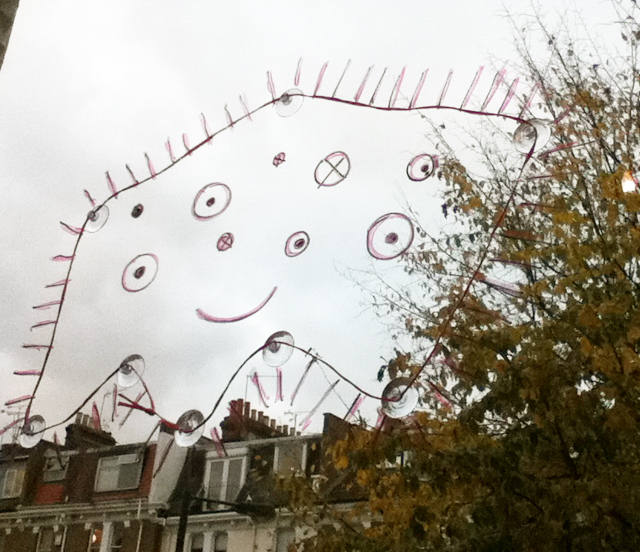 There you go… a Stringlander on your window. 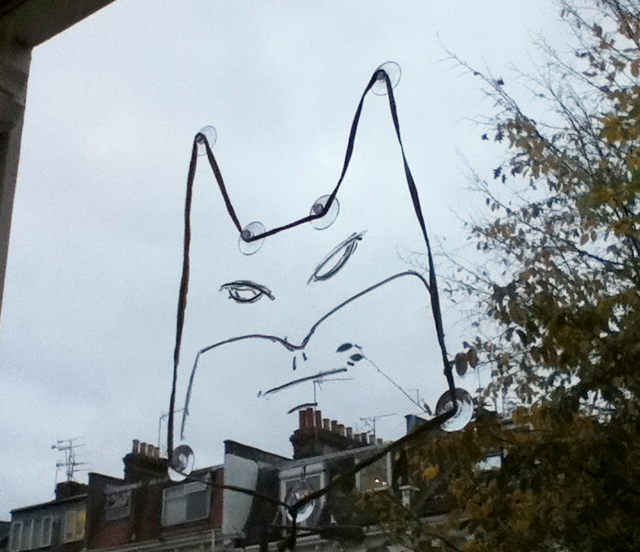 … The same shape can be Batman…. Or a chubby creature with hairy armpits! Arrange the cups and string in tons of different ways, use different colours and make as many Stringlanders as you can imagine. Not the biggest fan of veg? Organic Mr. Potato Head will have you begging for more! 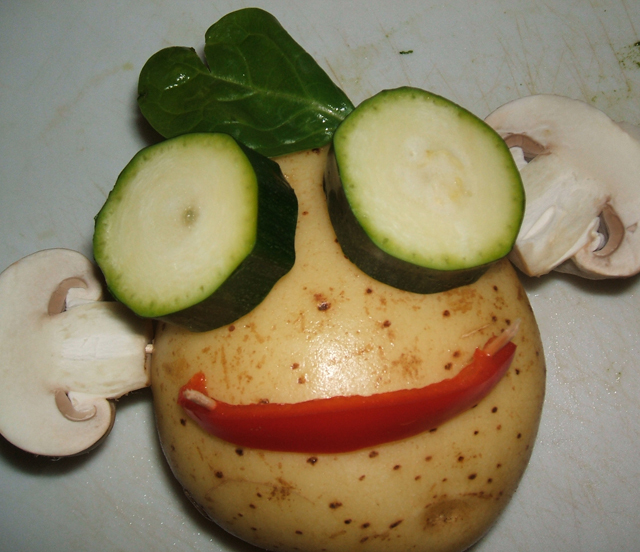 It is super easy to make but you´ll need the help of a grown up to help you cook the vegetables. 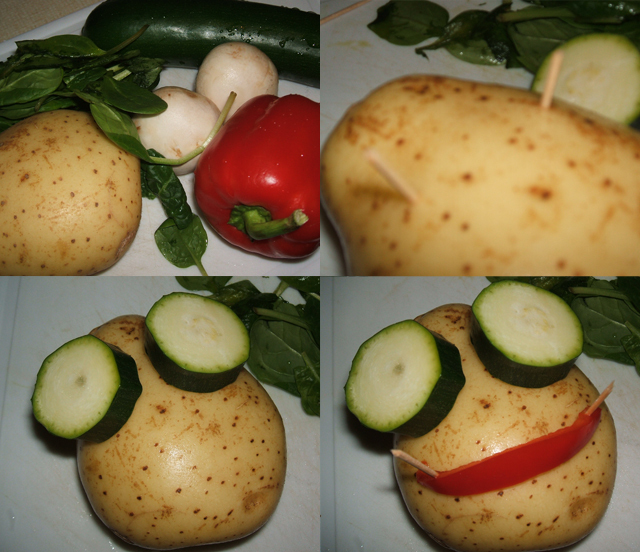 _Cooked vegetables that could work as eyes, nose, ears, etc..
1. 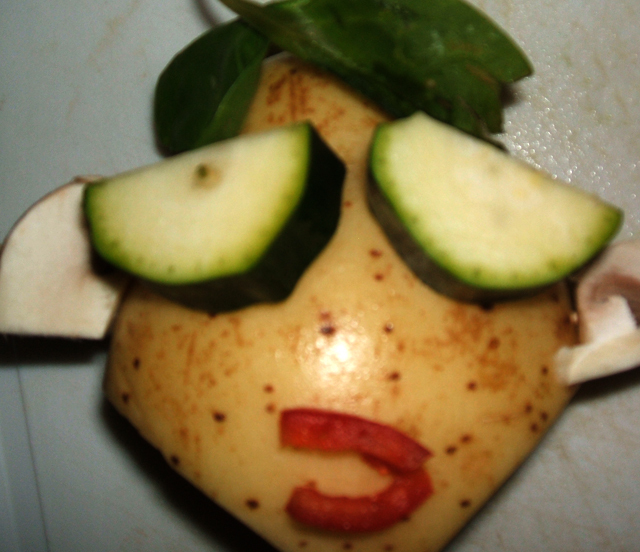 Stick a couple of toothpicks into the potato where you want the eyes to be. 2. 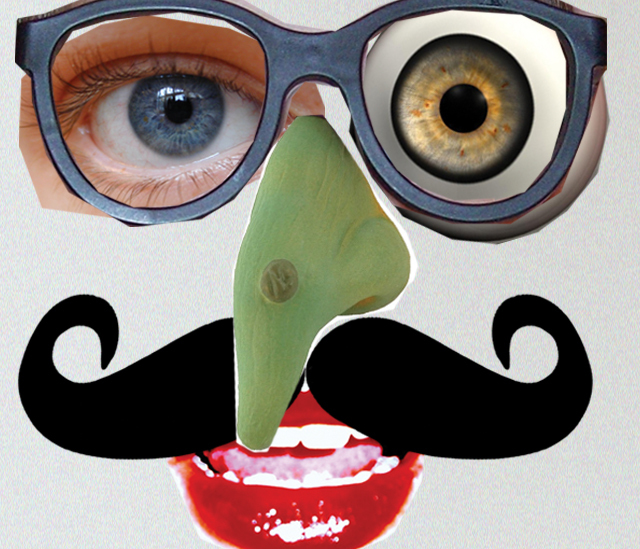 Grab a couple slices of veggie goodness and stick ’em on the toothpicks to make the eyes of Mr. Potato Head. I used courgettes. 3. Keep going until you’ve given Mr. Potato Head a mouth, ears, hair and whatever you can think of. 4. 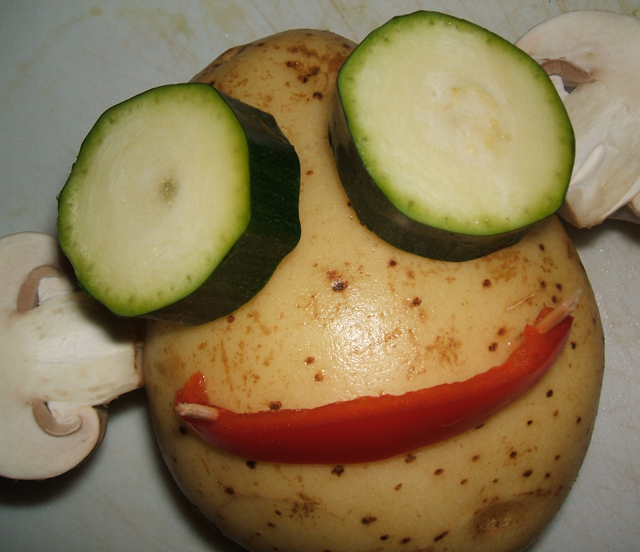 Eat your vegetables and see Mr. Potato change.. Add more stuff and eat it all again. 5. Repeat the process until you´ve finished all your vegetables! Mr. Beetroot? Yeah I know.. that was pushing it a bit too far. Have tons of healthy fun. 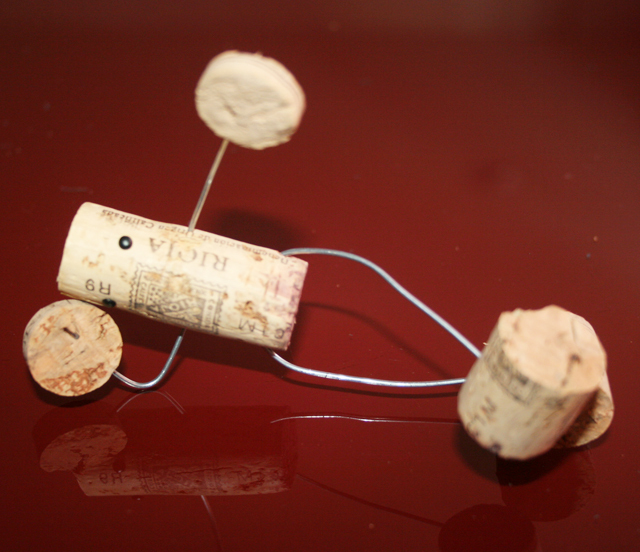 If you´ve broken a few toys trying to arrange them in strange postures, then this one is definitely for you. It will take you between 20 and 30 minutes. Easy, quick and really cool. 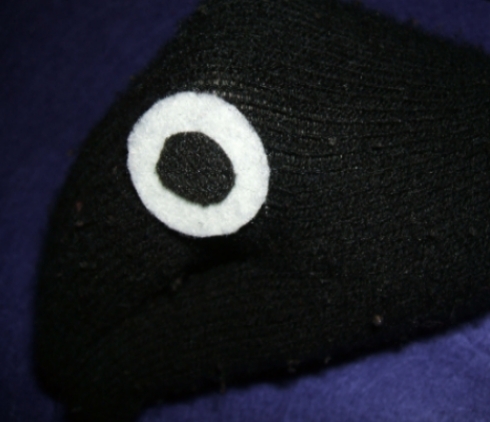 _2 pins with a black top or 2 small brads to make the eyes. 1. 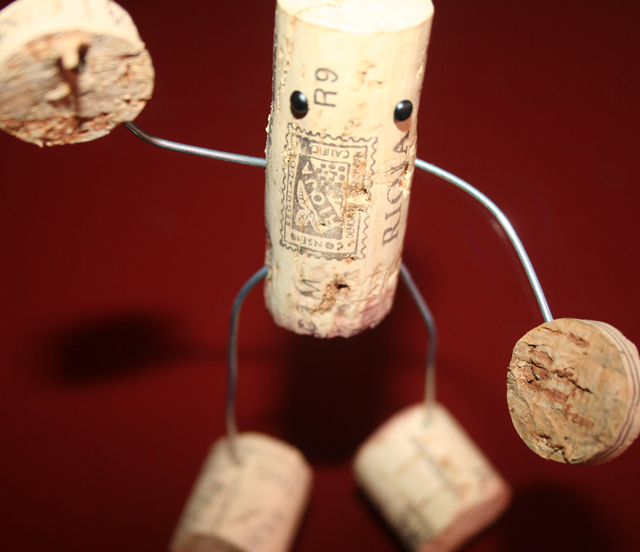 Using your knife or cutter, cut a piece of cork by half. The two halves will make the feet. 2. Cut 2 slices, about 6mm thick from another one. These are the hands. 3. 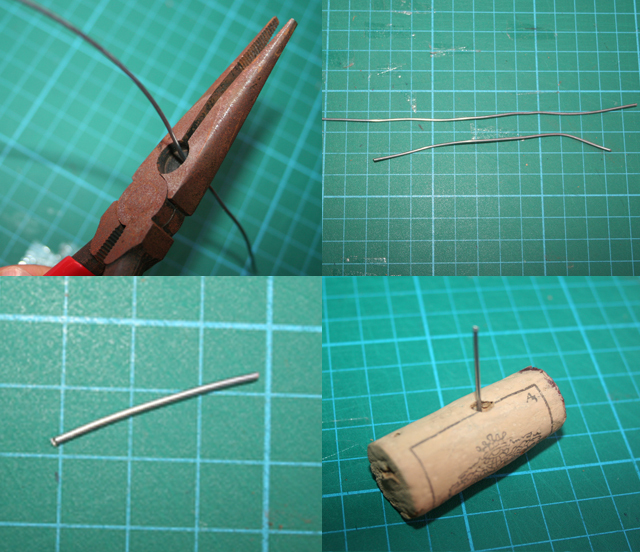 With the pliers, cut 3 pieces of wire, about 12cm, 15cm and 3cm long. 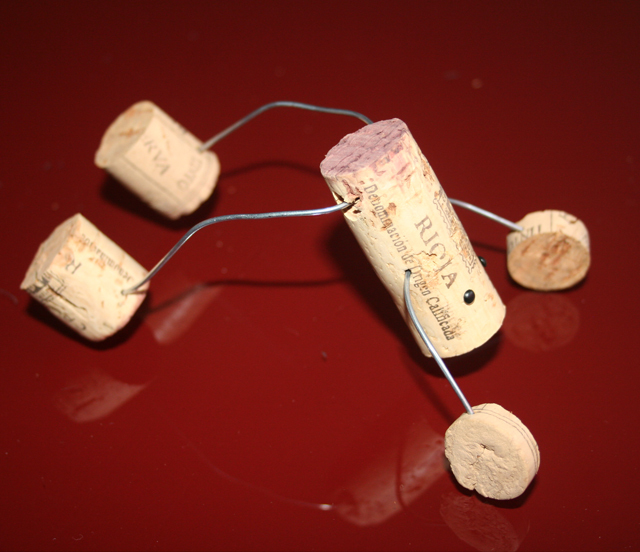 4.Get another cork to make the body of the Cork Bender; use the short piece of wire to pierce a hole all the way through the middle of the cork. This will allow you to pass a wire to make the arms. 5. 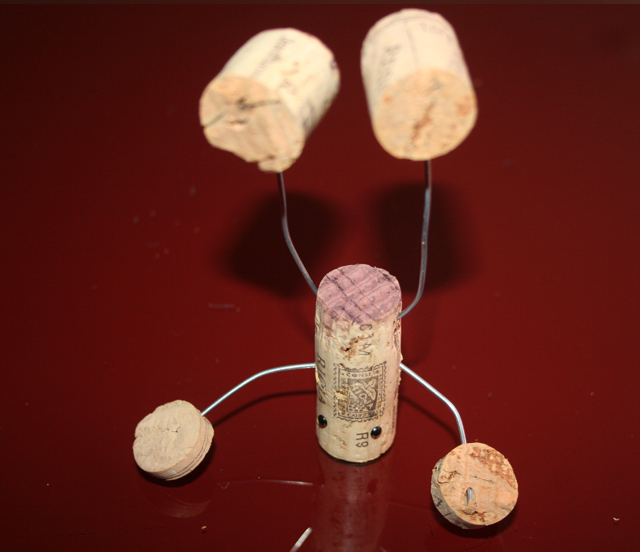 Do the same, closer to the bottom of the cork, to make a hole for the wire that will make the legs. 6. 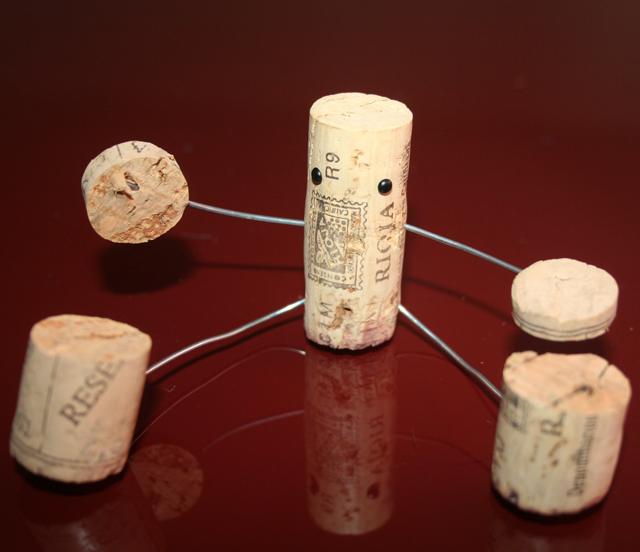 Pass the 12 cm long wire through the hole in the middle of the cork. 7. Pass the 15 cm long wire through the hole closer to the bottom. 8. 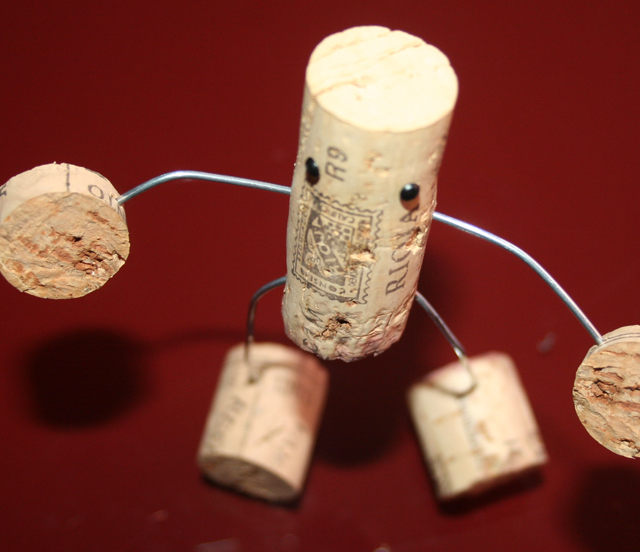 Insert the 2 slices of cork at the end of both ends of the top wire. 9. 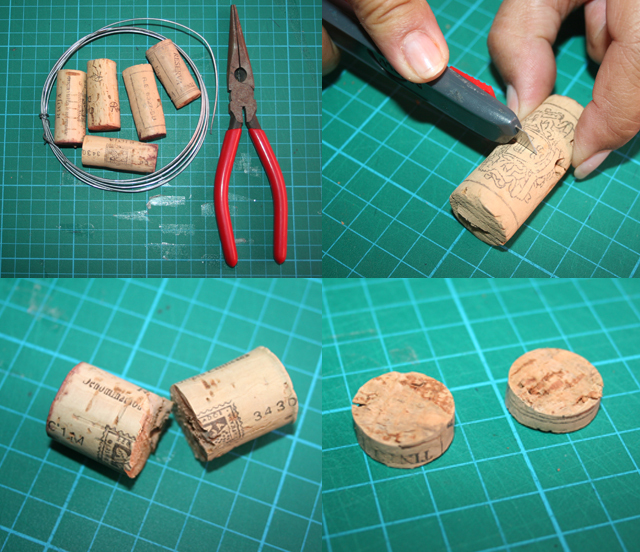 Insert the 2 halves of the first cork you cut into the ends of the longer wire. 10. Bend both ends of the bottom wire -the legs- down to make the Cork Bender stand. Arrange the arms any way you like. 11. 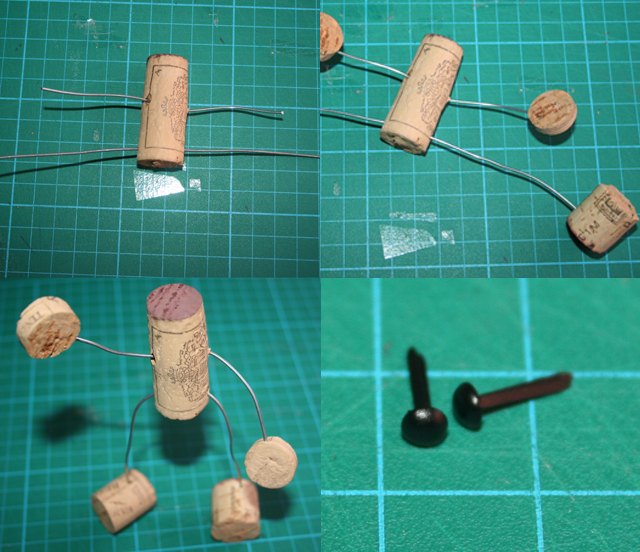 Get the 2 pins or brads and push them into the body of the cork to make the eyes of your character. 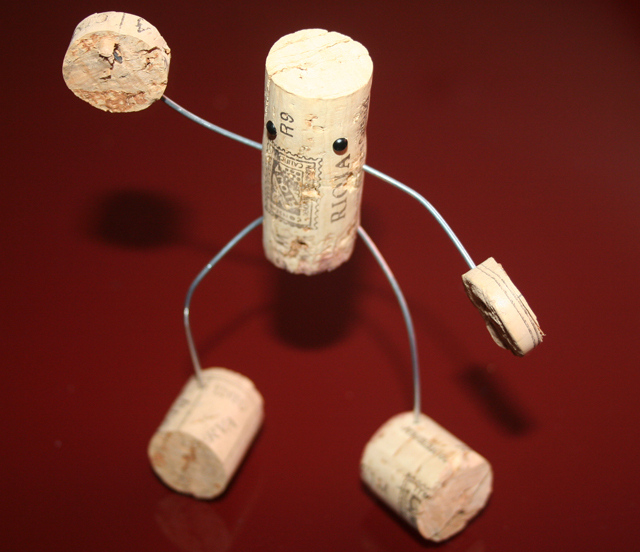 Now you can make your Cork Bender sit down…. 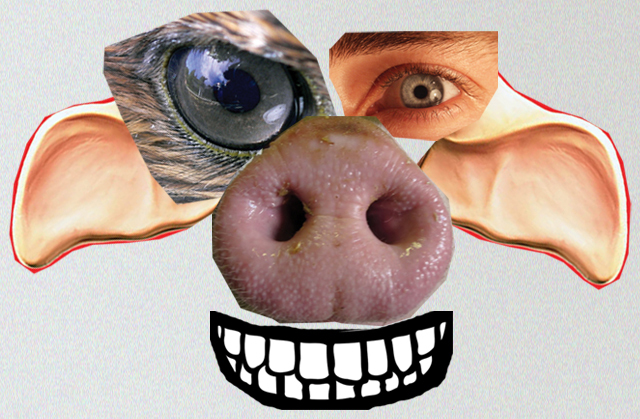 …or whatever you like …. You can still get creative: what would a dog bender look like? or a giraffe? Take him out for a dance and you won´t be disappointed. It is not very hard to make this puppet; be patient though, when it comes to piercing holes in the wood sticks and tying up the stings. It could take you up to 2 hours to make. _A piece of cardboard. 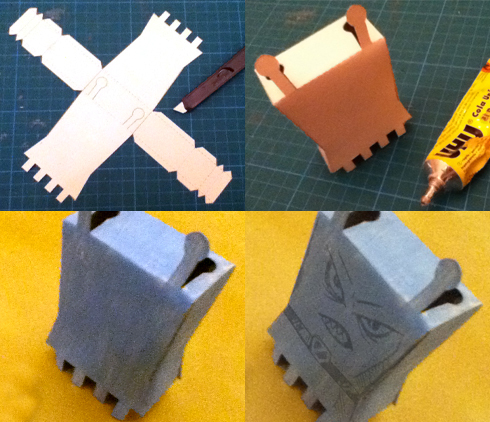 It could be a recycled cereal box or back of a paper block or even a piece of corrugated cardboard from packaging. _A piece of paper to draw extra details. _3-4 m. of thick cotton thread. _The point of a compass, circle cutter or something similar to pierce little holes in the cardboard and sticks. 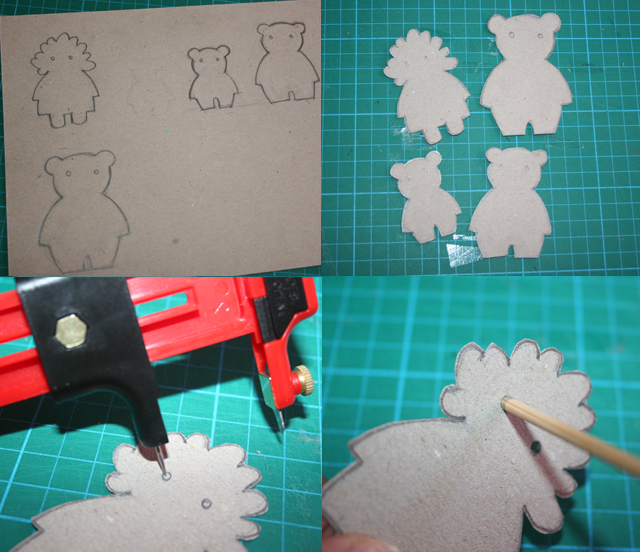 _ UHU or hot glue. 1. Cut 2 of the wood sticks by the middle. 2. 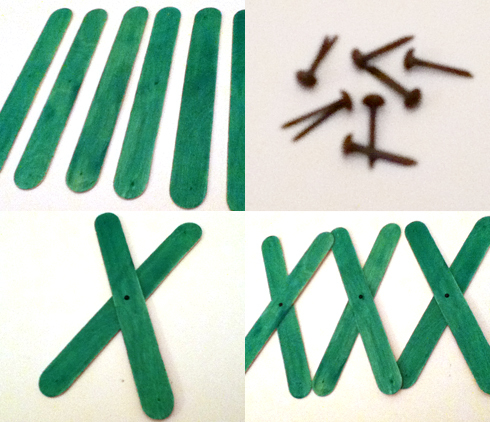 Use the point of a compass/circle cutter to pierce a tiny hole on each end of the 4 half-wood sticks you were left with and at both ends of 2 complete ones. 3. 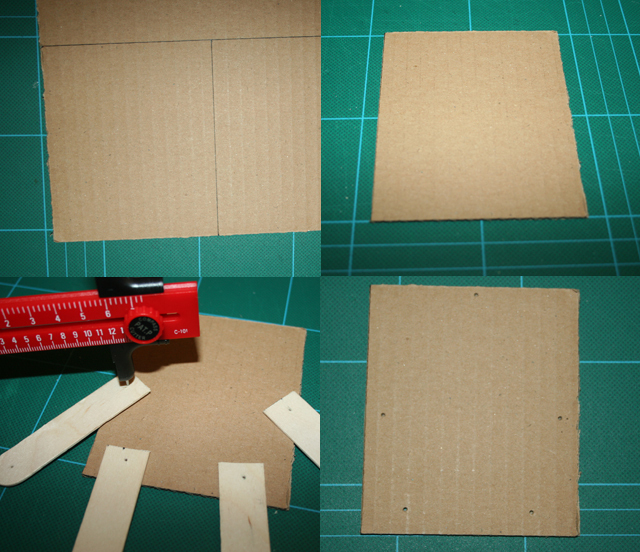 Cut a rectangle off the piece of cardboard, about 10×12 cm. 4. 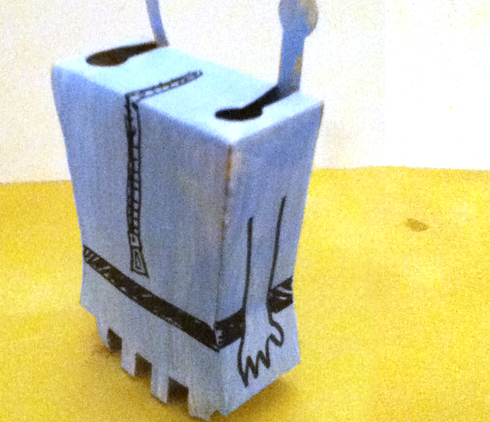 Place 4 sticks over the cardboard rectangle as if they where the arms and legs. 5. Use the point of the compass/circle cutter to pierce through the cardboard, using the holes previously pierced through the sticks as guides. Punch an extra hole at the top, right in the middle. 6. Use a pencil to draw the face of your character/body of your character. Mine has a hat and some room for a bow tie. 7. When you`re sure about it, draw over it with a black pen to make it stronger. 8. 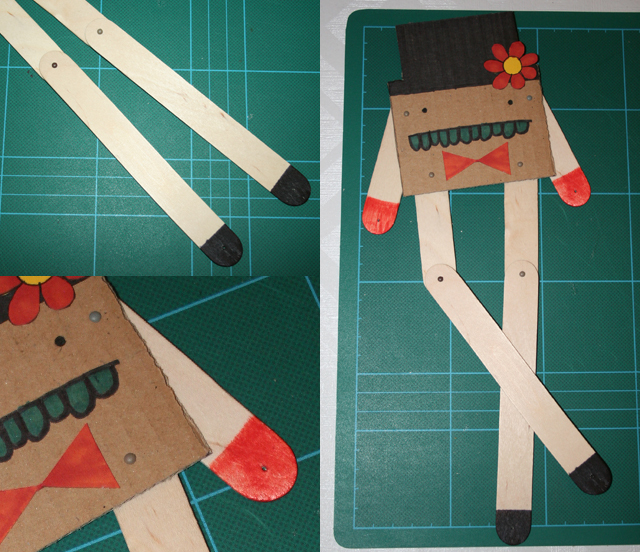 Cut away the extra bits to make the shape of the hat. 9. 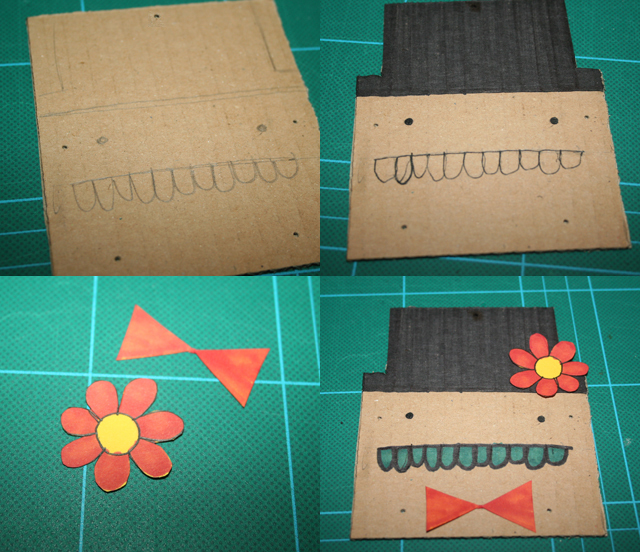 Use your extra piece of paper to make details, like a bow tie or a flower for the hat. 10. Add some colour and stick the extras. 11. 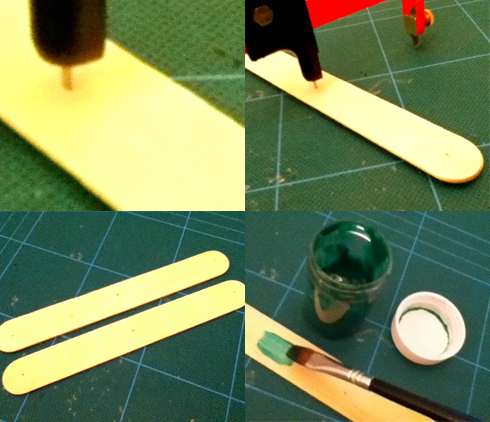 Get 2 of the short sticks and colour the tips to make the hands. 12. Get the 2 long ones and colour one tip of each to make the feet/shoes. 13. Get one a foot (a long stick) and a short stick (not a hand) and join them with a brad. 14. 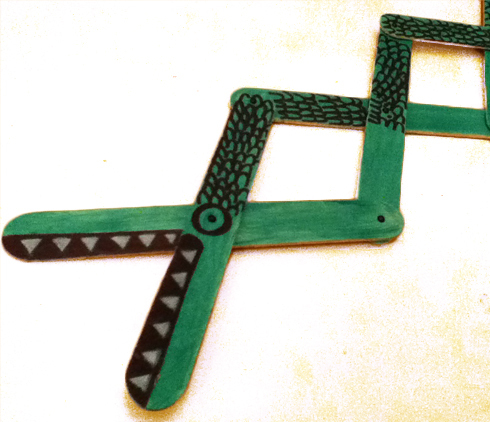 Now get 4 brads and join the arms and legs to the cardboard body by the holes you pierced earlier. You should now have the body with moving arms and legs. 16. Get the 2 remaining wood sticks and pierce a hole though both ends of both sticks. 17. Pierce an extra hole right in the middle of one of the sticks. 18. Get a piece of string and pass it through the hole at the end of one of the legs. Tie a knot behind it. 19. 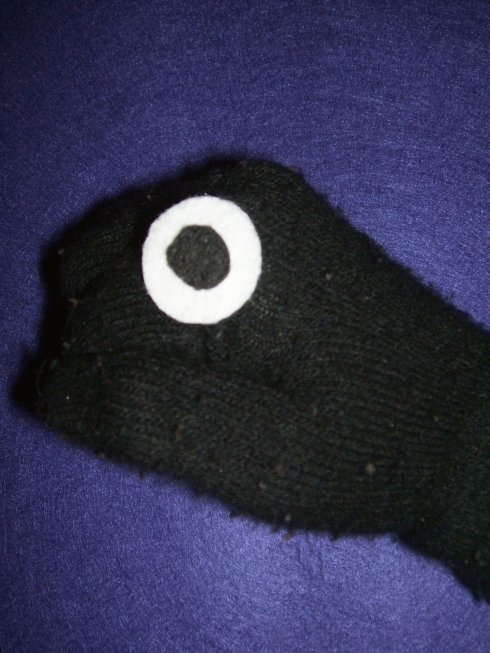 Do the same for the other leg, both arms and the hole in the middle of the hat. 20. Use the same colour marker you used to colour the hands, etc. 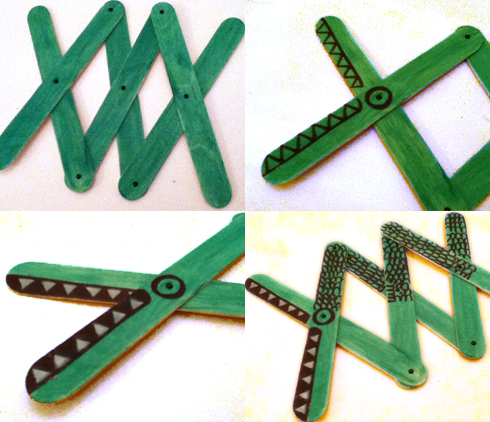 to colour the string that goes to each particular hole. 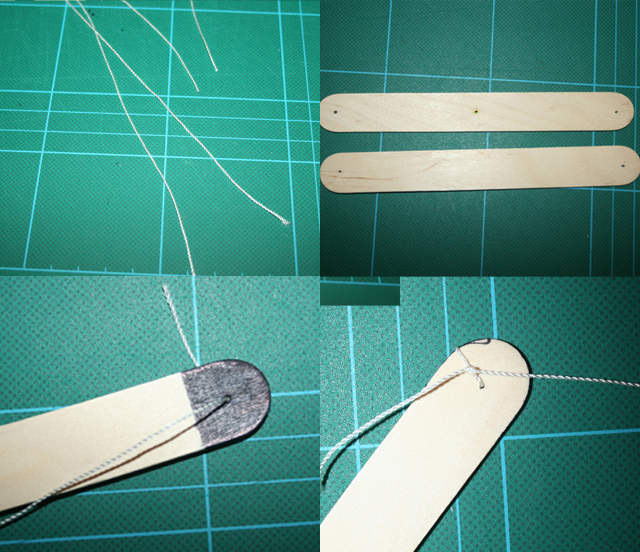 – Start by tying the strings that come out of the legs, one to each side of the same stick. – Get the string that is tied to the top of the hat and tie it to the middle hole of the other stick. 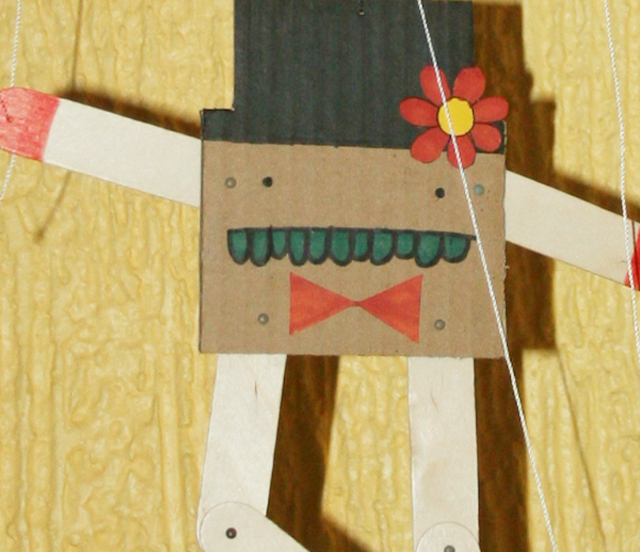 Before you tie the knot, make sure that both sticks are at the same distance form the puppet. You´ll have some spare string. – Tie the strings that come out of the hands to the remaining holes; once again, make sure that the sting is the right length to get the stick at the right distance. 22. If the knots feel a bit “slippery” put a drop of glue on top of each so that they stay in place. That´s it…Mr. Flowerpond is ready to go dancing. Bed time stories in the dark were never this fun. It will take you about 45 minutes to make; a bit more if you decide to make more characters. 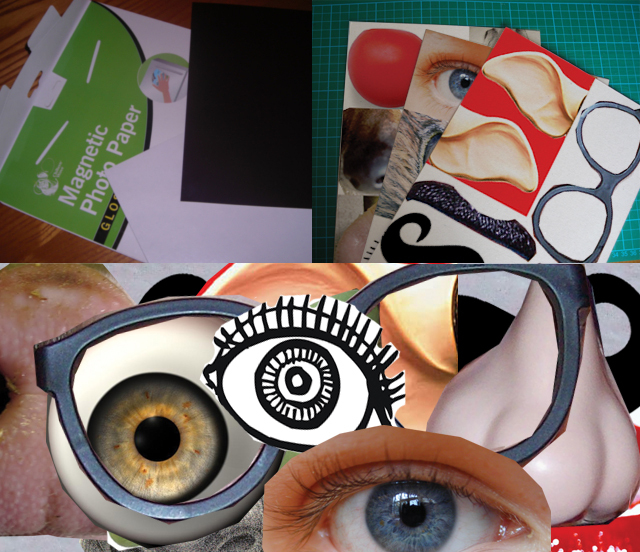 _To choose a story to make the characters for. 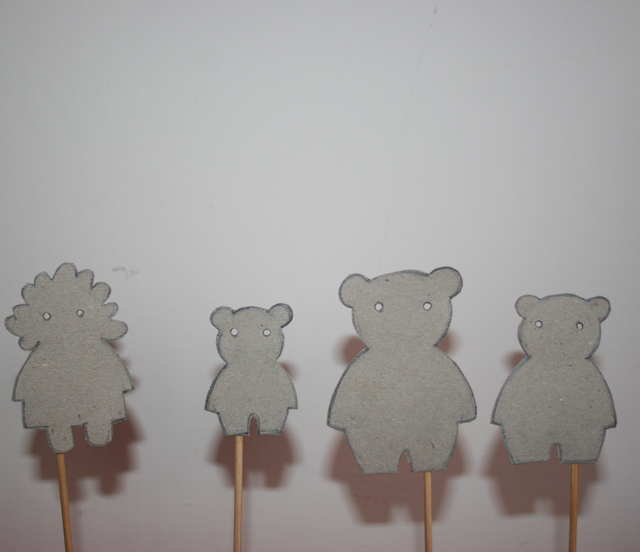 I decided to make Goldilocks and the 3 Bears. _Cutting mat or a surface to cut on. 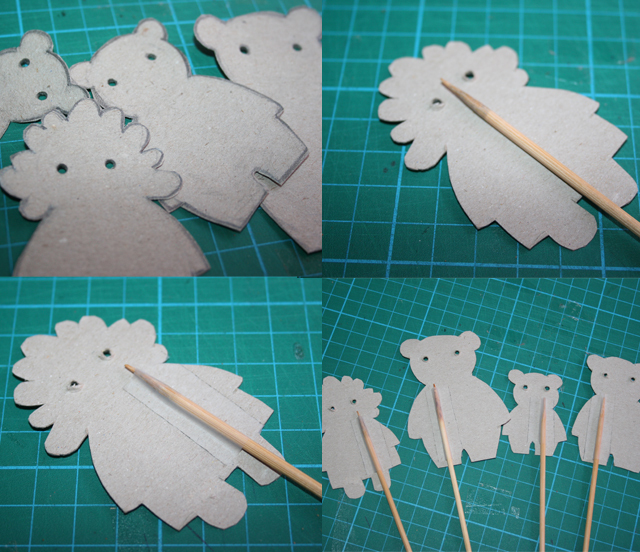 _ As many wooden sticks as characters you´re making (I made 4 characters so I used 4 sticks) They could be skewers, just be careful with the pointy ends and make sure you cut them off before you start palying. 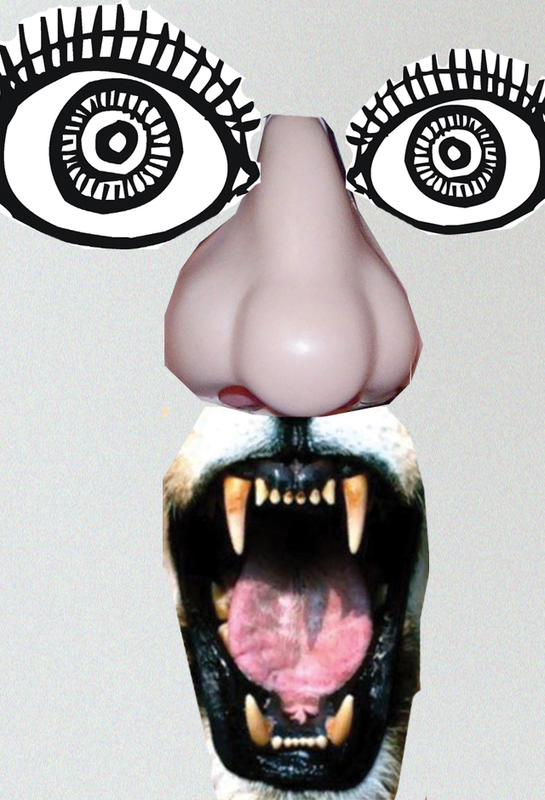 _Something to pierce the eyes of the characters, like the point of a compass or a circle cutter. 1. 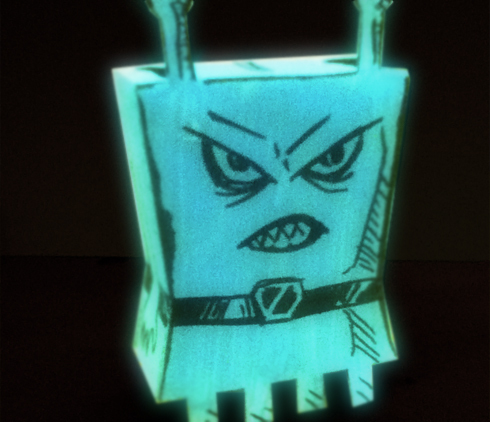 Draw the silhouette of the characters on your story on the piece of cardboard. Don´t worry about the details inside, like clothes and face; all you need is the silhouette as that is the only thing you´ll recognize in the shadows. 2. Cut all your drawings out. 3. Use the point of a compass or something similar to pierce the eyes. 4. 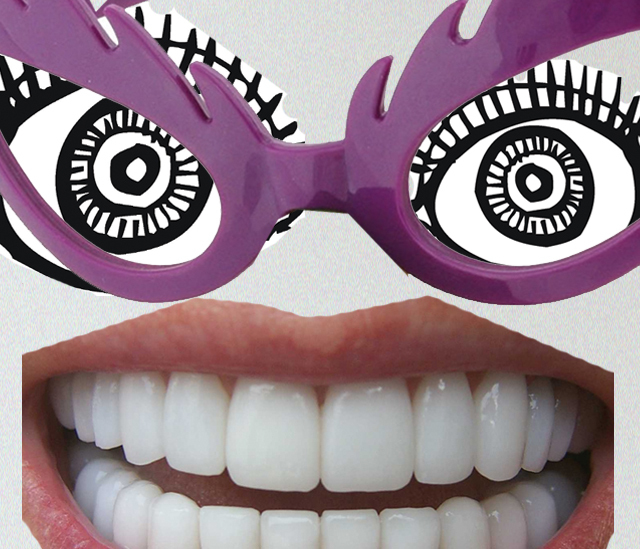 Use something thicker, like a skewer, to make the eyes bigger. 5. Grab a skewer or stick and stick it in the back of one of the characters with sticky tape. 6. Do the same for the rest of the characters. 7. Now turn the lights off, turn the flashlight on and point it towards the characters. 8. 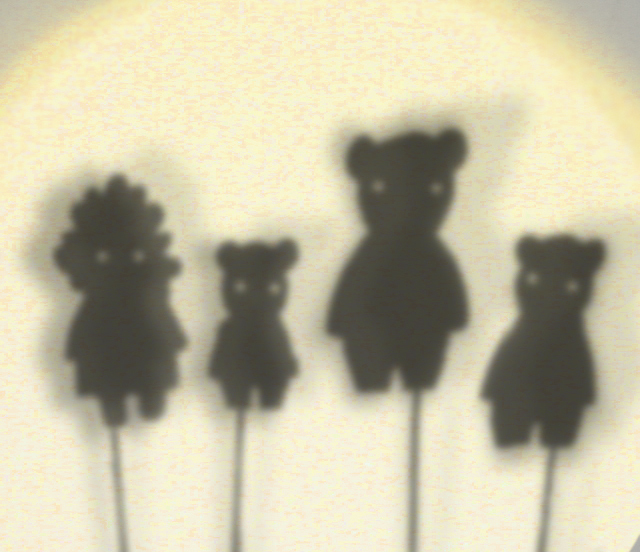 Tell/represent the story as you move the characters and see their shadows projected on the wall. What other stories can you shadow-tell? how about Hansel and Gretel… or Snow White and the 7 dwarfs? Lots of cutting but might be fun.